Our AMAZING new green screen dream machine booths allows the users to choose from more than 1000 print and background combinations using the magic of chroma key green screen technology. Give your guests the option to choose from more than 1000 print and background combinations. This may sound a lot but with our experienced booth attendant it really doesn’t take any longer than any of our other packages. 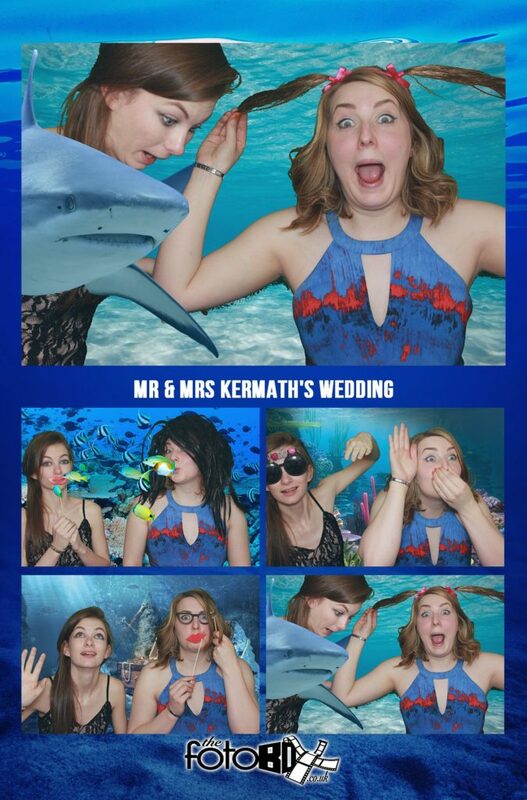 Choose the superimposed colour curtain behind them for a classic photo booth feel. Select from 10 different themed greenscreen photo background sets which superimpose different themed backgrounds behind each shot. Become immersed in a choice of 10 themed background and foreground images putting them in the heart of the action and interacting with the themed images. Select one of 7 celebration theme sets including Birthdays, Hallowe’en, Valentines, Guy Fawkes and Christmas. Create your very own pop art style print. 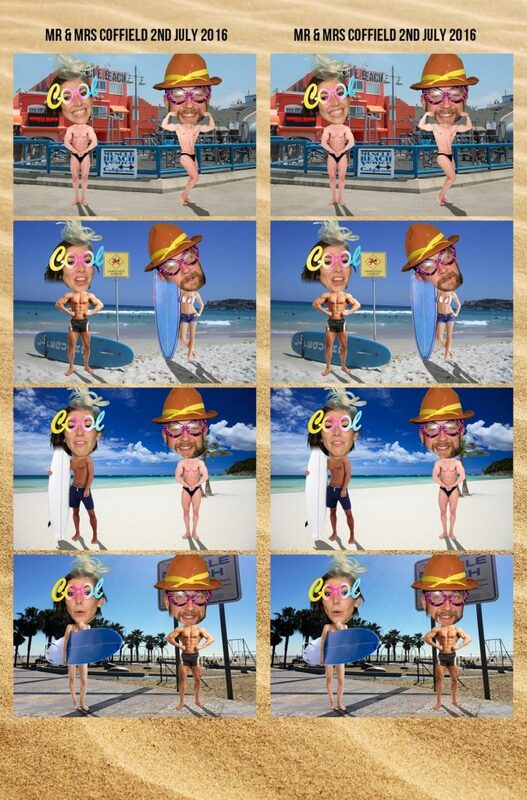 Using our own unique randomisation system the booth selects one of more than 100 random worldwide landmarks and creates your very own postcard. Travel back in time from Ancient Egypt and the Age of Piracy to The Wild West and Prohibition with carefully created green screen themes. Your head on a diddy funky body with a choice of 7 different themed sets including Super Heroes, Outer Space, Babies and Muscle Beach. Become the star of the cover on a choice of 7 ‘spoof’ magazines. 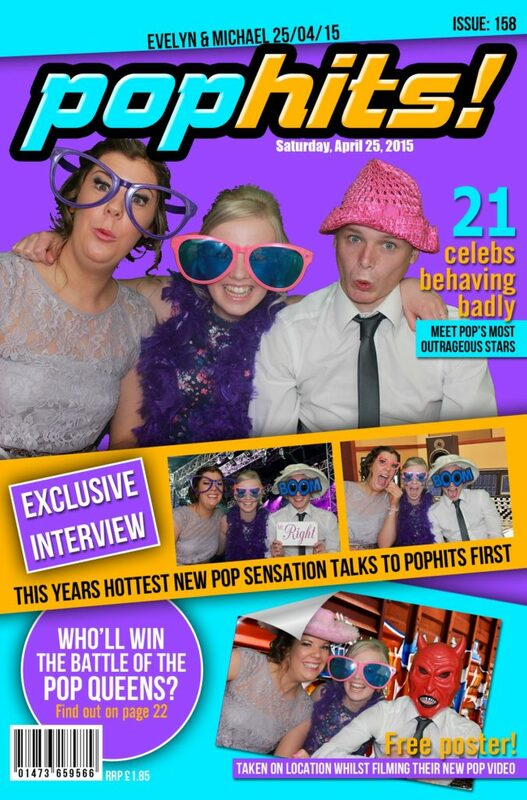 Party hard in ‘VIP magazine’, become the gossip in ‘THE BOOTH’ or the star on the cover of ‘POP HITS’. If you can’t decide which mode to choose, let the booth select one of the modes for you at random. 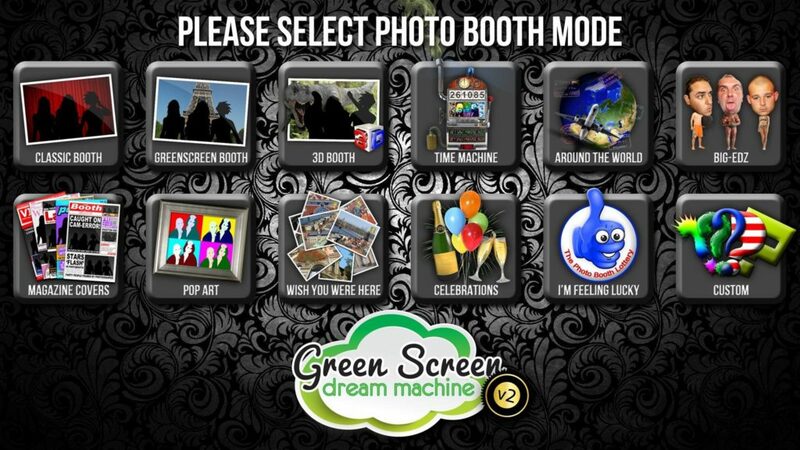 The Green Screen Dream Machine can feature user selectable print layout allowing the user to choose how their 6″ x 4″ photos are printed, choose from classic strips, 4 large photos, 1 large 4 small or our new photo mosaic layout. Photos are taken against a green screen curtain using a high quality DSLR camera and printed instantly using a high quality Dye Sub Printer which are instantly dry and ready to take away within just 10 seconds!